The 2019 CCFNT Earth Awards and Training and Apprenticeship awards will be held on Friday 21st June 2019. EOI close Friday 26th April 2019. CCFNT is always looking to acknowledge the achievements of people and companies within the civil industry, as well as provide contractors with opportunities to come together and network with one another over the course of the year. The CCF Earth Awards recognise companies within the Northern Territory civil sector who have been involved in a project that demonstrates excellence and innovation in the fields of construction, project and environmental management. Companies submit their respective projects for consideration and are then grouped into categories based on their project value. They are then entered into the NT Earth Awards where the winners in each respective category are then entered into the National Earth Awards where they come up against the best civil projects from across Australia. This event is a great opportunity for all civil contractors to showcase their work and receive recognition from the rest of the industry. The annual Awards for Excellence in Training are an opportunity to recognise the efforts and achievements of people undertaking courses and apprenticeships in the civil construction industry and help give them the best possible start to their new careers with awards being given to the highest achieving people over the past 12 months. The 2019 event will be held on Friday 21st June. This end of year function takes place Friday 29th November 2019 and all Civil Contractors, their families, partners and clients are invited to attend this event which always promises to be a fantastic opportunity to come together with people from within the civil construction industry to network and enjoy a fun social atmosphere to celebrate the past working year achievements. It also represents an excellent forum to enhance client relationships by inviting them to attend as your guest. 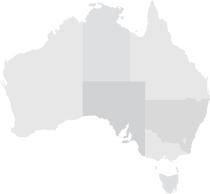 Held in Alice Springs, Katherine and Darwin these meetings bring contractors, associates and NT Government representatives together to review procurement programs and discuss issues that are of most interest in each region. Sponsors are encouraged and are able to give a brief presentation as part of the event. Events are concluded with light refreshments and networking opportunities.